Anonymous Shirdi Sai Devotee From USA says: Om Sai Ram I wanted to share my very own experience how Sri Sainath landed me in a job. This is clearly a miracle for me how things got lined up for me. I live in US on H4 status, it’s been almost 5 years that I am here now. From day 1 in US I always desired to work and be independent but because of my status I did not have work authorization. I even joined master to get work permit. I cannot explain but there were lot of hurdles in my path and nothing did work for me and there was a period when I was almost depressed. I noticed Sai book at our Pooja mandir during my prayer (my husband bought it from Baba temple when he visited) The book was full of experiences of people how it worked for them after they started Sai Pooja. I did Sai Pooja for 5 weeks and co-incidentally joined in Mahaparayan group in June. I am truly lucky to be chosen to be part of this great group and at the same time I started Sai pooja. Shirdi Sai Baba devotee Kratika Sharma from India says: Om Sai Ram. I am Kratika Sharma member of MP-115 Sneh Sai group. Baba fulfilled my wish and I want to share the happiness with everyone. Last whole year i.e 2018 I waited for a call to Shirdi from my Baba. I have never been to Shirdi and pray everyday for the same to Baba. Soon I realised that this year also I will not be able to go Shirdi, so I wished to at least get some prasad from Sansthan. 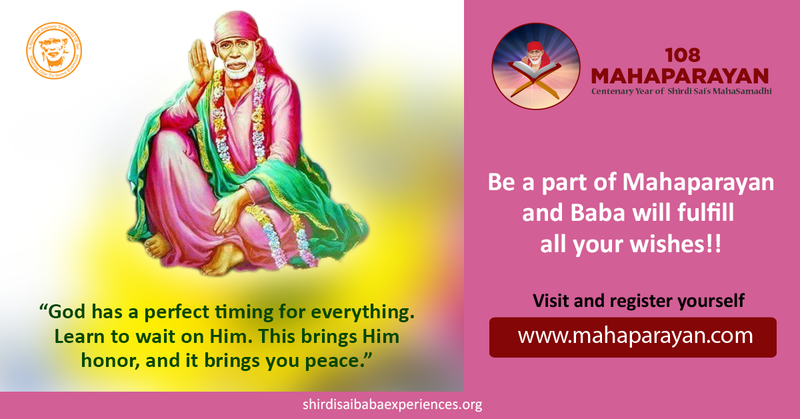 Everyday I prayed for Shirdi prasad from Baba and likewise time went on. Shirdi Sai Baba devotee Chhavi Mishra from India says: Om Sai Ram. Dear MP team, Sai Ram. Below is my experience related to Mahaparayan, to be published on MP blog. 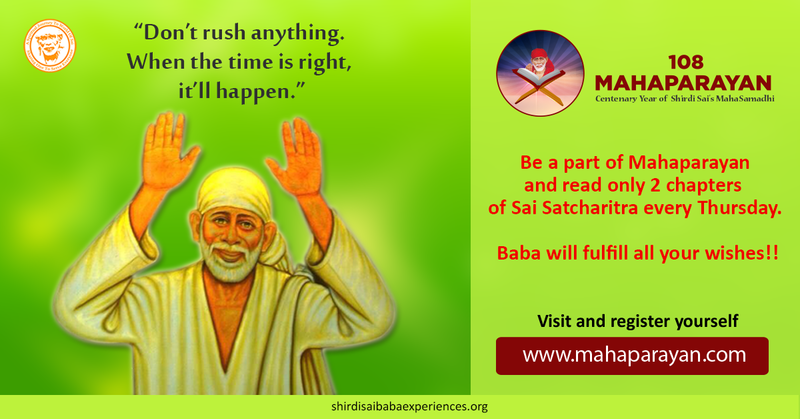 I've had faith in Sai Baba since my childhood days, as my maternal side believed in Shirdi Sai Baba and Satya Sai Baba. I've done Sai Baba fast earlier. However, I was unaware of the book Sri Sai Satcharitra. My mother and my brother insisted me on joining MP group. However, I wasn't sure if I'll be able to fulfill this commitment as I was pregnant and wasn't so keen to join. Another day, one of my friends asked me to join MP group. I didn't deny her, and asked her to get me added to the group, thinking that I'll see later if I'll be able to do MP or not. It was by Baba's wish that I got pulled into the MP group and was able to fulfill my commitment. Anonymous devotee of Shirdi Sai Baba from India says: Om Sai Ram. I feel blessed to be a part of Mahaparayan Team. It has filled me with immense positivity and has transformed me as a person. I had previously also shared the experience on this platform. Coming to my experience, I was tensed about certain news shared by my parents few days back. Finally I placed my situation at lotus feet of my loving Baba on Question and Answer site. 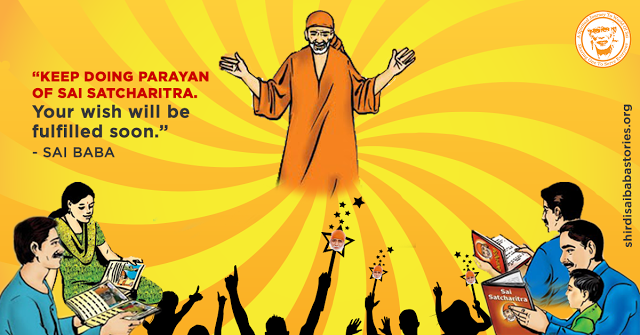 Baba replied "Worries will be over in three days, remember Shri Sai". I was so tensed throughout these three days. But yesterday i.e Wednesday Night the situation got cleared by itself. Just before Mahaparayan day i.e. today Baba relieved me of all worries and made me happy. Thank You Baba for helping me. You know our deepest secrets and wishes. 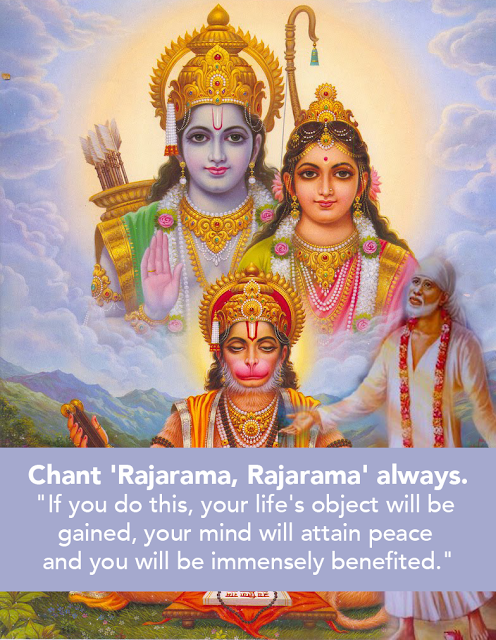 Please bless everyone Baba with Your love and grace. Thank You to Mahaparayan Team for making me a part of this lovely group. Om Sai Ram. Though Baba has no facebook, whatsapp, twitter or any other social networking accounts, yet Baba’s CCTV is Universal and knows every passing moment of our life better than anyone else. We can communicate with our Sai only when we have imbibed Faith and Patience along with undying devotion in our hearts and life. That’s when He the master lives, plays, speaks, sleeps, eats, walks with us and talks to us. Faith gives us the sense to feel and interpret Him. Patience helps us honour Him and His existence and unending devotion makes Him live in our lives. Love You Sai Jai Jai Ho Sai. Shirdi Sai Baba devotee Krishnamurthy Iyer from India says: Om Sai Ram! Dear Sai devotees My name is Krishnamurthy. I am narrating my experience below. 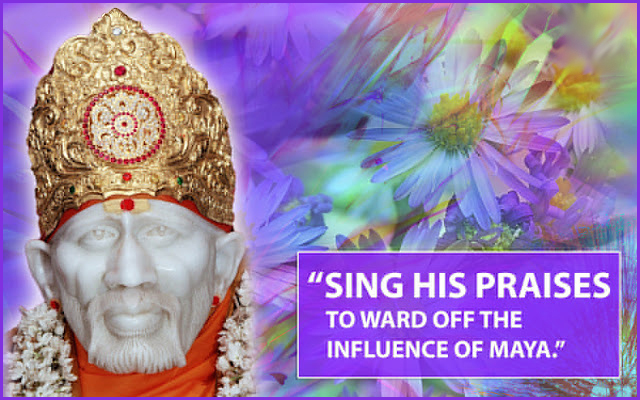 Mother Sai showed His Leela at the time of my joining Mahaparayan even before the 1st reading commenced. My experience as I spoke to you earlier, I will start with a background. Quite a few of my relatives joined Mahaparayana group earlier. I was feeling a little bad how I was left out. Then one day I got the link to join the group and I joined. When asked for, I volunteered to be a captain. 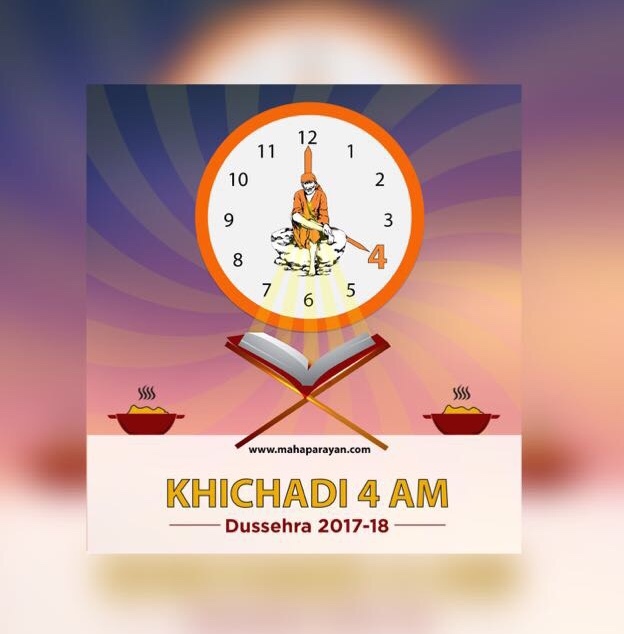 Shirdi Sai Devotee Selva Kumar A Keshavan from India says : It was a Wednesday the 26th of December 2018 when I received a call at around 11.30 from a very close friend Deepu(we are more like sisters) who was terribly upset. Her mother had the previous day given her a vaastu gold ring to wear as she was facing many difficulties in life. Deepu, while doing the housework had misplaced the ring and could not find it anywhere in the house. She had searched the whole house but could not find it anywhere. Upset, not knowing what to do she called me. I heard her and then told her to pray to Baba and that I too would pray and Baba would definitely help. I prayed to Baba and asked Him to show me signs that she would find her ring. Baba showed me many signs and I was sure she would find it. By night she sent me a message saying she had not found it. Shirdi Sai Baba devotee Shagun Lamba from India says: Om Sai Ram to all devotees. I am Shagun lamba from New Delhi. 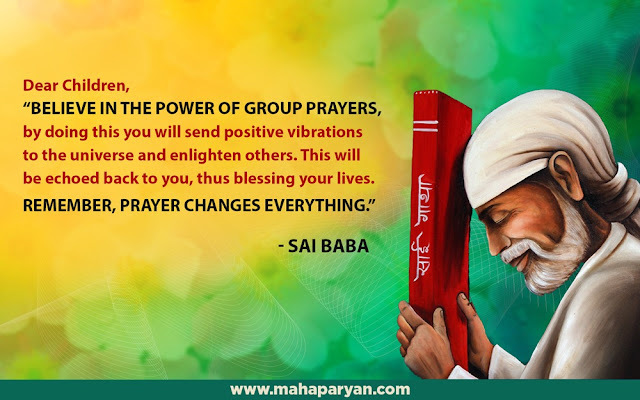 First thanks to Baba for providing me this beautiful opportunity to be a part of global Mahaparayan and second thanks to Pooja didi may Baba bless you always di for this selfless service which is helping many, many people to receive Baba's blessings. Now I want to share one of the beautiful experience that I had during this Mahaparayan and here it goes. I used to visit Baba's temple every Thursday and I am very attached to that temple because that temple is my Shirdi. 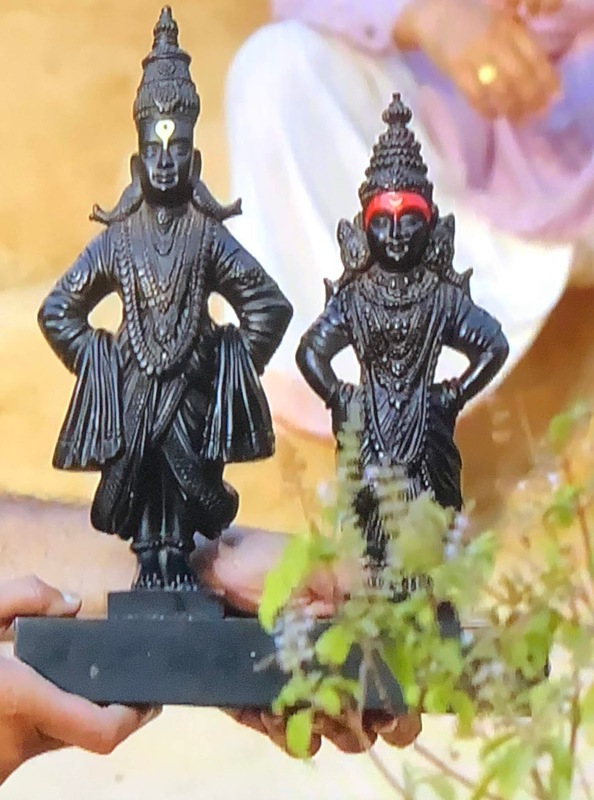 As I can't go Shirdi everytime to share my feelings, happiness or sorrow so the temple where I used to share everything is not less than Shirdi for me. I share everything with Baba in that temple so I have many emotional attachments with that temple. But then I got to know that they were doing nothing to celebrate Baba's Centenary year. I got upset that Baba how is that possible that every temple will celebrate 100 years of Your consciousness and my temple will be left deserted? Shirdi Sai Devotee Divya Walia from India says : Jai Sai Ram. I am Divya Walia from Jaipur. This is my most awaited experience for which I had waited for nine years. We came under the kind grace of Dadu( as we lovingly call Sai Baba Dadu) in 2009 and that time I had only one wish - to be pregnant since I had been married for 4 years then. Since then Dadu kept showering His love on us in many ways by listening to our every small prayer or request. But my one big wish was still unanswered. Gradually I started feeling that probably motherhood is not in my destiny. But we never lost faith in Him. Years after years kept passing and we were still waiting. I and my husband then joined Mahaparayan group MP-115 in September 2017. Again I asked Dadu to please bless me with a child. We had been undergoing all sorts of treatments but nothing was working out. Finally in January 2018 I conceived but the nine month journey was full of ups and downs, hopes and apprehensions but Dadu was there with me throughout.